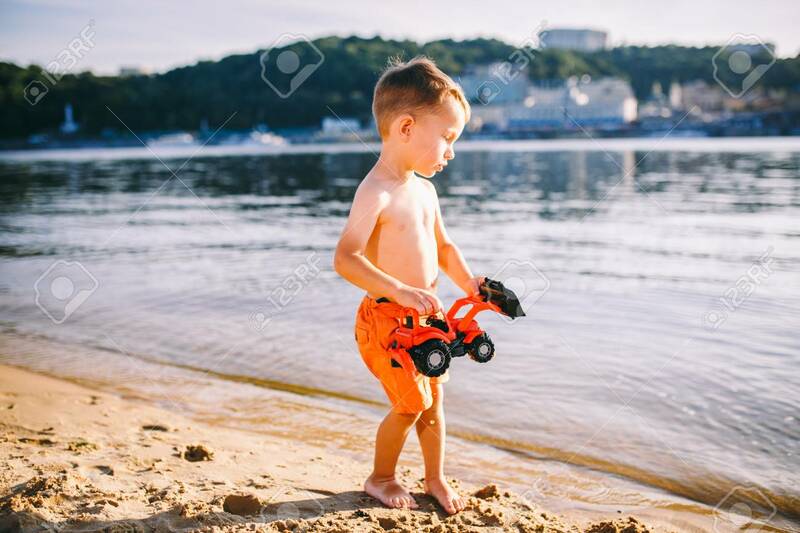 Caucasian Child Boy Playing Toy Red Tractor, Excavator On A Sandy Beach By The River In Red Shorts At Sunset Day. Lizenzfreie Fotos, Bilder Und Stock Fotografie. Image 115334689.